Lets be honest with ourselves though...99% of people aren't informed and have questions about how to get one up and running. Just the idea of mic’ing up, finding stuff to talk about, and…. finding people to listen to you should sound intimidating. Relax and take breath. You are not alone. Whether you are doing it for your company, a client, or for yourself you can rest assured that in 2018 it is easier than ever to launch your podcast successfully. To help you out, we decided to speak with our podcasting community for advice they would give new podcasters starting out. Before you start buying equipment and audio recording tools, take some time to look at what's out there. We recommend putting together a checklist that answers the questions..
What are my podcasting goals? There are many reasons that people create podcasts. Make sure you have goals that are attainable and objectives that are realistc and measurable. Growing your target customer base, establishing a closer connection with existing ones, and brand awareness are all goals that you should consider. If you already have an established customer base than you can start with that foundation. If not, do some research on the behaviors of your target customers to confirm that a podcast is an effective channel to reach them. Do you have something to talk about that people will want to listen to? Enough said. How much time and resources can you commit out the gate? You don't want to prepare, market, and invest in goals that will not be met. Take some time to plan out the format of the show. Some podcasts are comprised of interviews, others cover current events, and some are a mixture of all of the above. Do your research and make sure you choose a format that your audience will be comfortable with and that you can execute....and don't be afraid to adapt and pivot if it doesn't hit. If you are prepared and knowledgeable about what you are talking about, you should need little to no preparation. That sounds easy right? Wrong. Even the smartest minds and public speakers don't go into speaking engagements without hours of note taking, research, etc. Remember, for many podcasts are a substitute for live radio and scripted media so authenticity must be a goal for you. Take some time to do your planning and outline the flow, research topics, links to information for reference, and transition times. Process Street is a great online tool to create processes and checklists that can be used for strategic planning and episode prep. Looking for something already pre made? Check out their Podcast Publishing Checklist to get organized now. An easy one, but one group that is underutilized by most is your own network. Your friends and family are your most valuable assets when starting any new venture. . If you haven't taken advantage of them yet, this is now the time. Let them know what you are doing, get them excited, and keep them updated! Give them directions on how to share, what it is, and all the tools they need to be your advocates. They are going to be your first reviewers and remember to ask for positive and negative feedback. Ask them to positively review the podcast on iTunes if they love it and set up the proper channel for them to give constructive criticism. When you are starting off, its better to work with the people you know will always deliver over the ones that have the potential to. Ask if you can have them on to be interviewed or discuss a project or topic related to their own ventures. We cannot stress this enough. Too many times, podcasts have failed or lost their entire base audience because expectations were set and not met. 1000s of podcasts never make it past the first 10 episodes. Setting expectations that cannot be met and overpromising to your audience is a guaranteed way to lose listeners. It is better to underpromise your audience with something like a solid 30 minute episode once every two weeks, than commit to a schedule that you cannot maintain. This will also position you for the chance to provide bonus content in between your normal schedule...something every listener appreciates. Everyone needs something to listen to after they listen to you. Unlike cable or the terrestrial radio, podcasters do not need to compete for time slots. Don't be afraid to share those podcasts with your audiences on the episode. Make sure you let those podcasters know too! Send them an email via their website or tag them on social media. It is the cheapest and most effective way to expand the reach of your content and convert target audiences. Part of your strategy and planning phase should be to listen to podcasts that are in line with what you are trying to create. Take notes on their content, their advertisers( that will tell you who their customers are) , and the way they promote and advertise their show. There is a lot of things to look at, but when you start out spend some time analyzing the quality of the content you are putting out. If you have a team, carve out 30 minutes to review the positives and negatives from the past airing. What worked? What fell short of expectations? Was there a drop off rate in the numbers and where was it? This simple effort will not only make you aware of little things that slipped through the cracks, but also help you maintain a level of quality for the content you produce. Remember, you need to love your content first and foremost. Like selecting a new wine at the store, cover art is a huge factor in making your podcast stand out. Having attractive cover art is vital when your show lines up against thousands of others in the iTunes store. You can contract custom designed art work by taking advantage of Fivrr or one of the many freelance communities out there. If you are feeling crafty, jump in and do it yourself using one of the many licensed templates on Canva . Don't get too creative if you don't have an audience yet. Make sure your selling point is somewhere in the title. Keep it light and fun...don't make it feel like a college lecture. Your title should be no longer than 6-7 words. With most of your listeners being on mobile, you may risk it getting trimmed. You can blow your entire budget purchasing costly recording equipment, studio space, audio recording software, etc..Its 2018 and you will be amazed away by the number of applications and tools out there that allow you to record, edit, and publish all from the comfort of your own home. There are a good amount of recording apps made for the phone but we recommend utilizng real equipment if you are going to take this seriously. 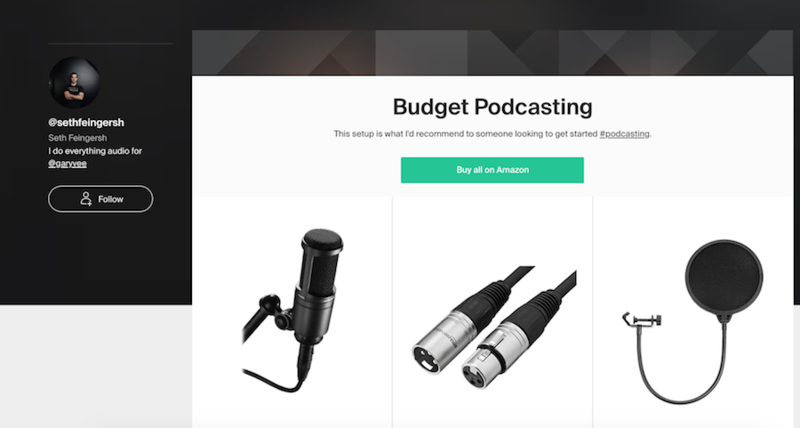 For starters, Gary Vaynerchuk loves this Podcasting Starter Kit compiled by Seth Feingersh. Buy each item individually or the whole package. Remember most podcasts don’t make it past 10 episodes. Your audience will listen for you and your content, not the song that introduces you. Luckily you have endless amounts of options when it comes to finding adorable royalty free music licenses. That doesn’t give an excuse for you to have poor production. Rather than jump ahead and hire someone to create branded intro and outro songs, start by licensing some tracks that communicate the mood and tempo of your podcast. Get your audience familiar with the feeling and personality of you first, and then commit to a branded media. We have curated our library to fit every personality, project, and passion. 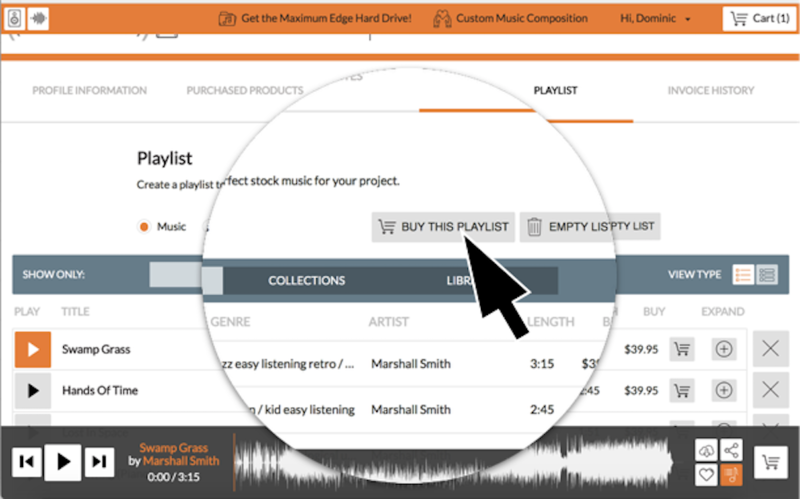 Podcasters love our playlist features which allow you to quickly add intro and outro tracks for easy organization and purchase. Browse our library and definitely check out our background music collections for easy options to help you get going. Take Advice and Stay Inspired. There are a ton of guides and classes out there that will dive into these podcasting topics with more detail. Previously mentioned Gary Vaynerchuk, has written and spoken extensively on the need for podcasting and best practices . His level of knowledge and passion for podcasting as a successful channel for businesses can be seen below. For the people who are planning on making a career out of podcasting , we recommend getting first hand experience with people who are doing it. If you don't personally know anyone you can sit in on, you should check out Adam Carolla's Podcasting Masterclass. Great reviews and pricing combined with tips from the experts who are responsible for creating one of the most profitable podcasts in history should motivate just about anyone. Good luck as you start your planning process on podcast! We will have more guides and advice from top podcasters to share with you all so stay tuned. In the meantime, we’d love to hear your additional advice and lessons learned along with any questions you may have with the entire process.